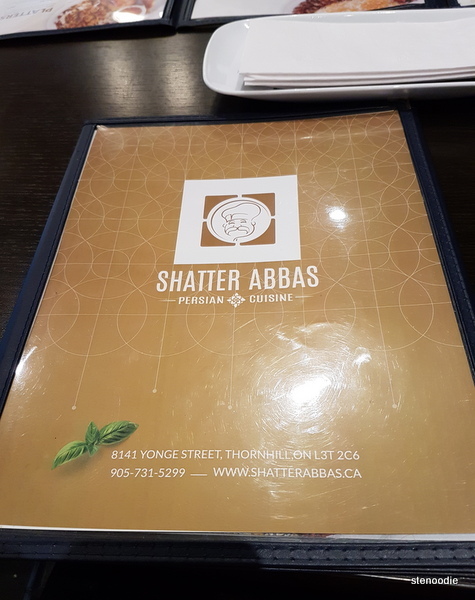 April 4, 2018: We went to check out Shater Abbas, a Persian restaurant, for dinner. 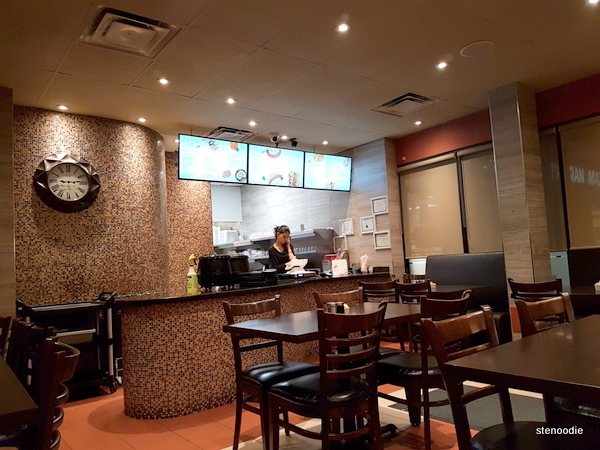 When I was researching for places to eat around this area of Thornhill, Shater Abbas had a website but not too many photos in general showing the restaurant’s interior or food taken by customers. 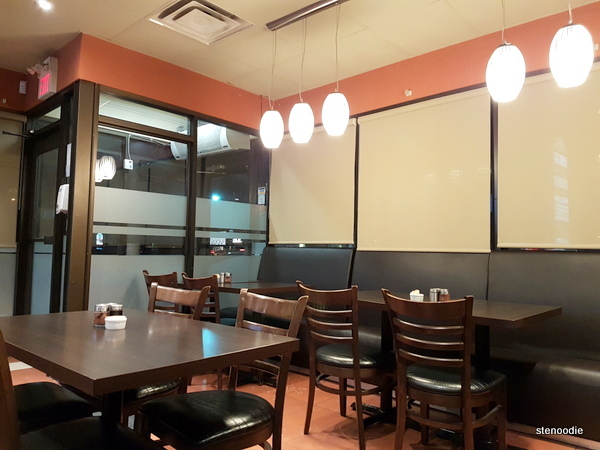 It is located in a strip mall with other local Persian businesses and also a Japanese restaurant that I have been to (Sano Sushi). 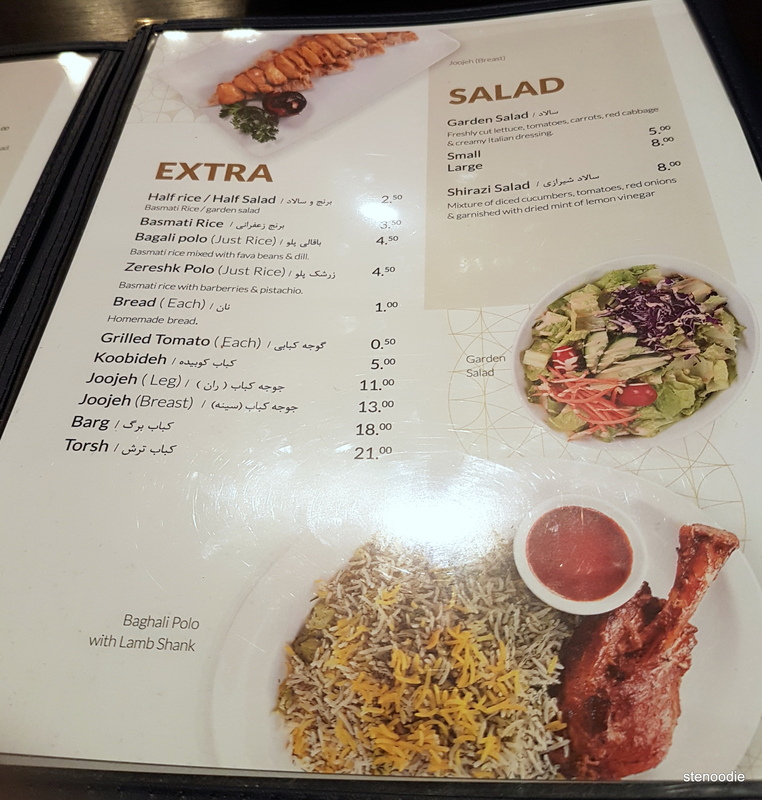 We ordered the Mirza Ghasemi (puréed char-broiled eggplant mixed with their homemade unique roasted garlic tomato sauce and fried scrambled eggs), a hot appetizer, and Vaziri (chicken leg) Kebabs to share. 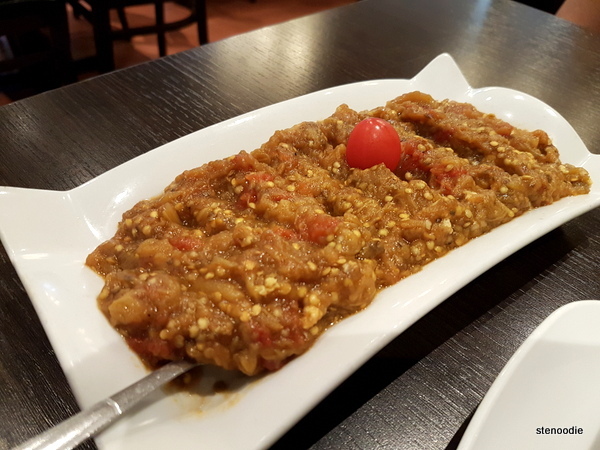 The Mirza Ghasemi was served with bread and arrived first. The puréed char-broiled eggplant was a mash with the fried scrambled eggs embedded within it. It was pretty tasty. 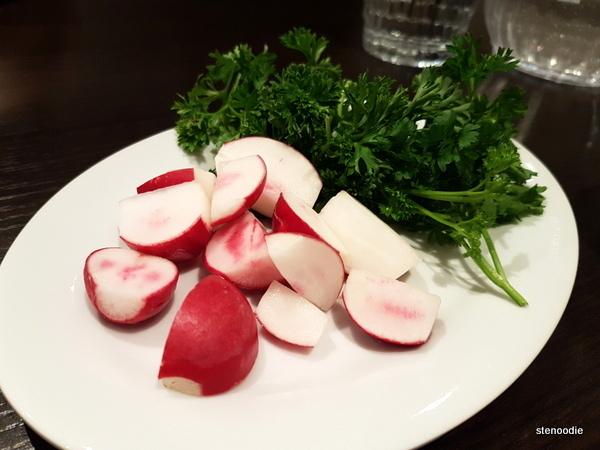 There was also a plate of raw cut-up radishes and cilantro on the table. Clarissa had just been to another Persian restaurant recently and informed me that the radish and cilantro was to eat together with the bread. The combination was unlike anything I’ve had before and was pretty good. It seemed very healthy too since the radishes and cilantro were raw. 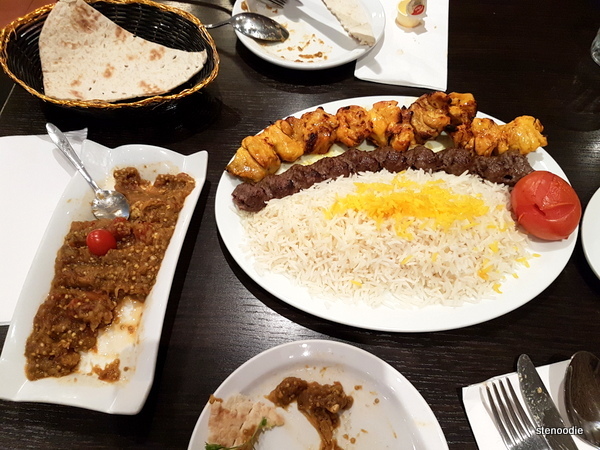 The Vaziri Kebabs plate included one skewer of marinated boneless chicken leg and one skewer of ground beef (koobideh). 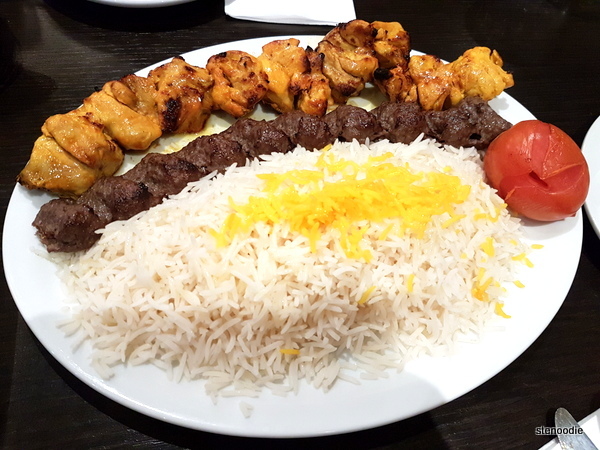 Both skewers were char-broiled and served with saffron basmati rice and grilled tomato. It was so nicely assembled on the plate. 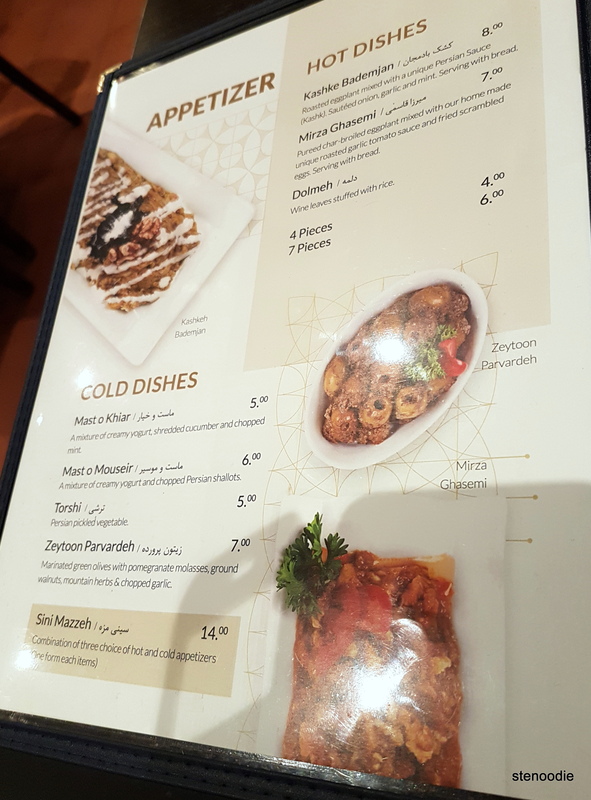 Great food here and the service was good. 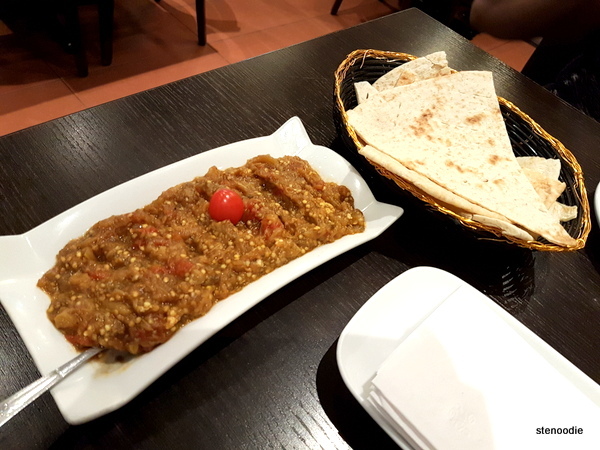 I’m interested to come back to try their other veggie dishes and traditional dishes. 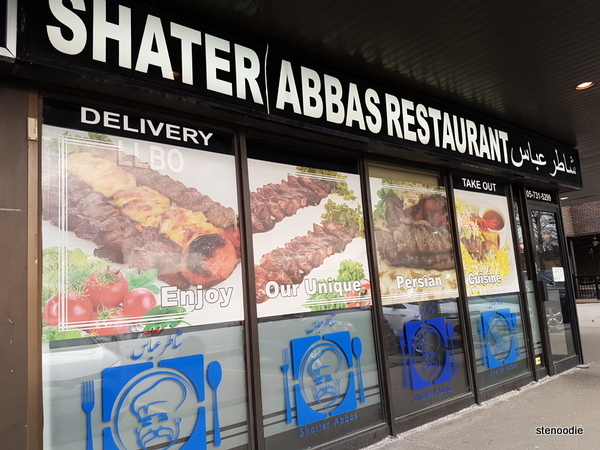 In addition to this Thornhill location, Shater Abbas has locations at Sheppard Ave East and Centrepoint Mall. This entry was posted in Food and tagged 8141 Yonge St, charbroiled eggplant, charbroiled skewers, food blog, foodie, koobideh ground beef, Mirza Ghasemi, North York, Persian, Persian cuisine, Persian food in Toronto, Persian restaurants, puréed char-broiled eggplant, Raw radishes and cilantro with bread, restaurant review, Shater Abbas, Shater Abbas food reviews, Shater Abbas menu and prices, Shater Abbas Thornhill, Shater Abbas Yonge Street, Shater Abbas Yonge Street location, Thornhill, Thornhill restaurants, Vaziri Kebabs. Bookmark the permalink. 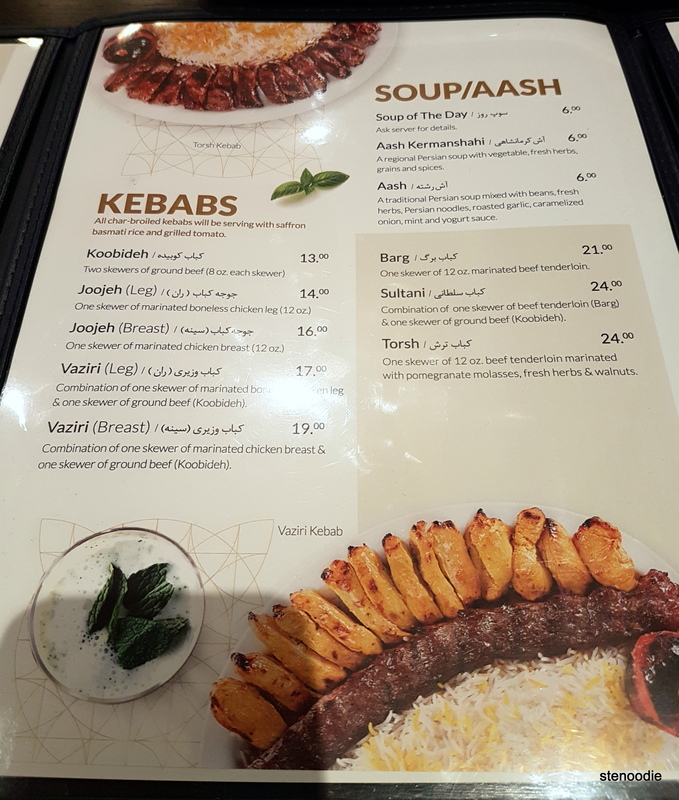 I’m a big kebab fan. So, I will definitely love this restaurant. 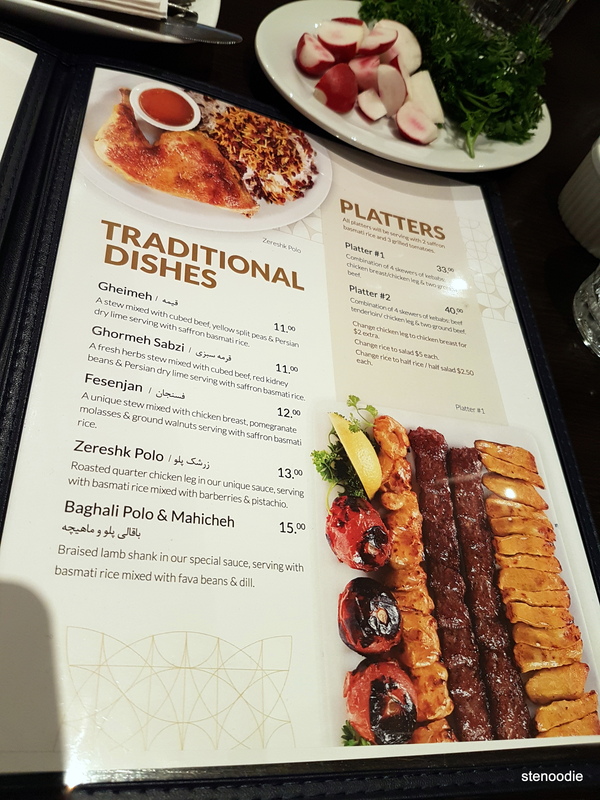 Are you in the Greater Toronto Area to dine in and try it? Unfortunately not. But, I always to go to Toronto. They say it is like New York, but I have never gone to New York either.